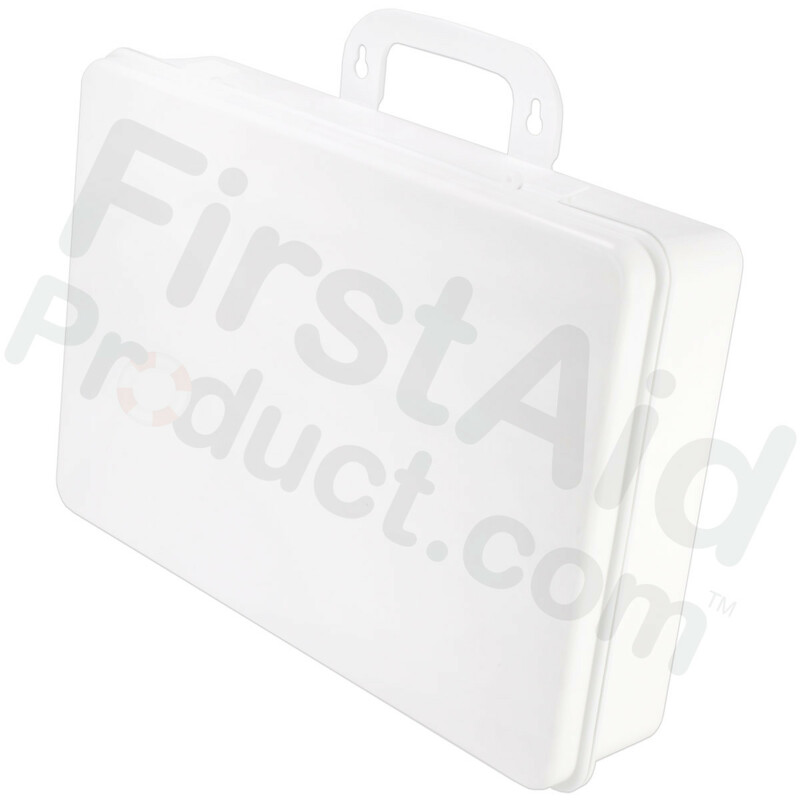 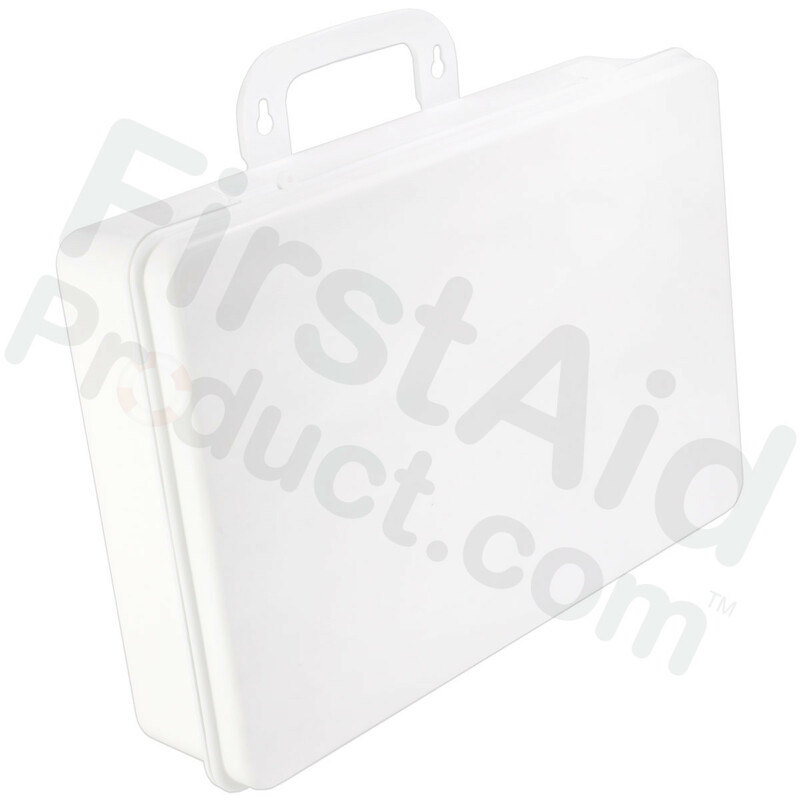 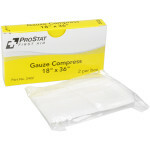 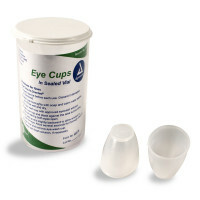 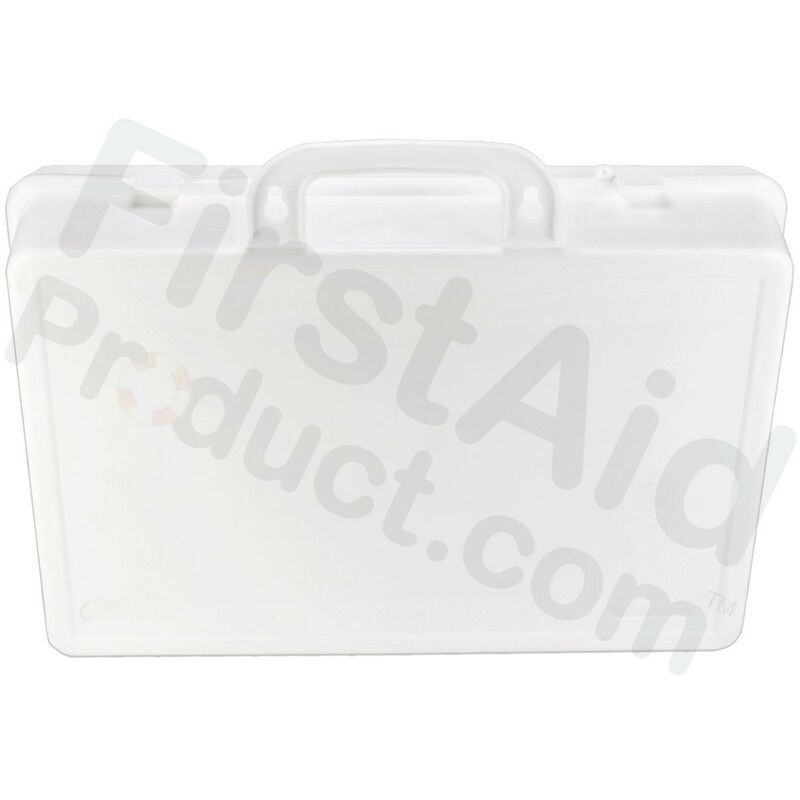 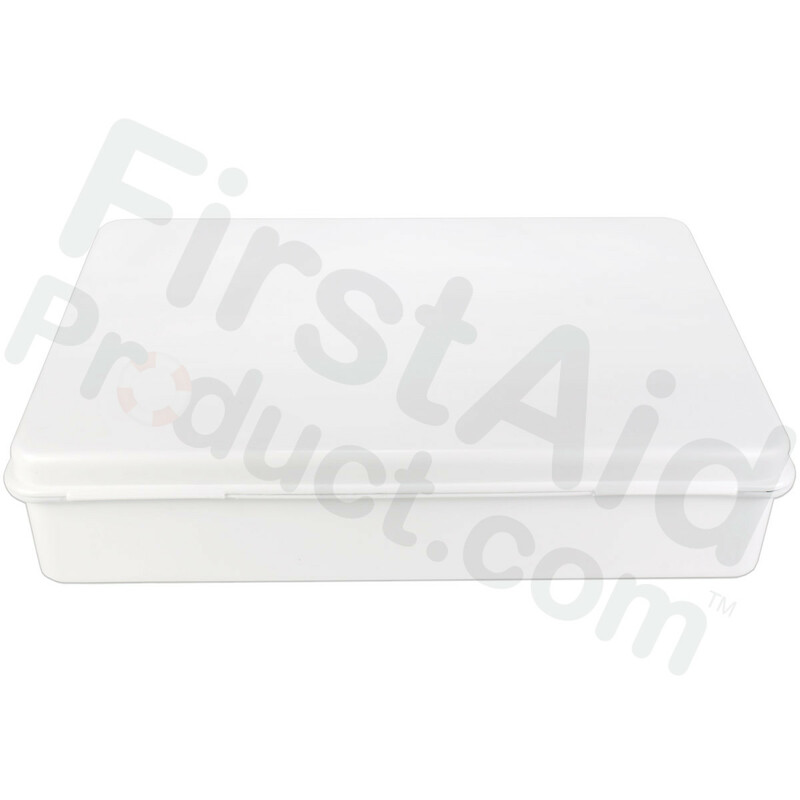 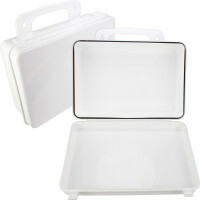 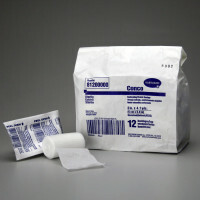 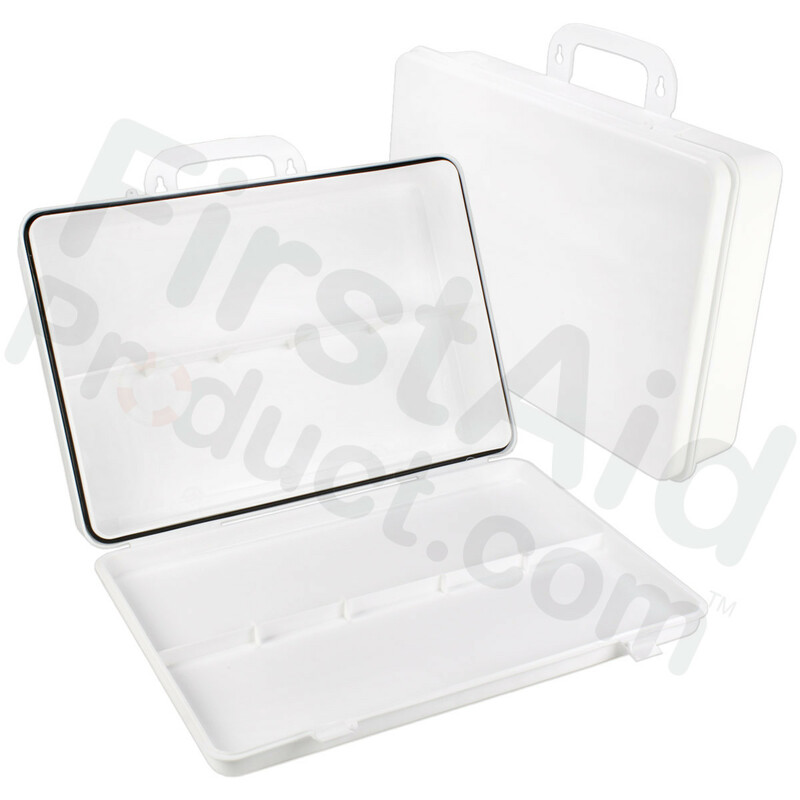 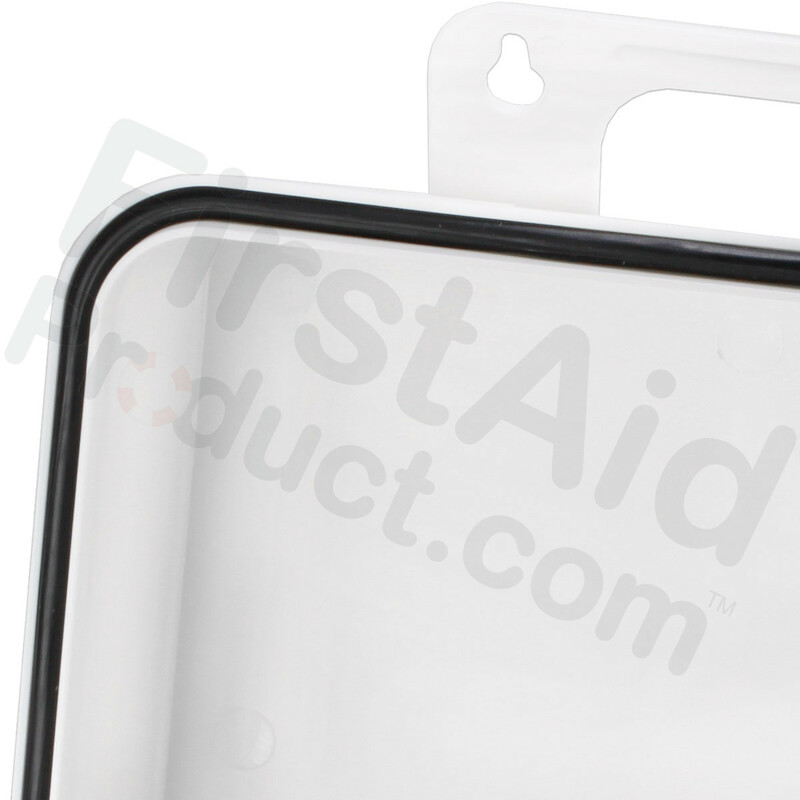 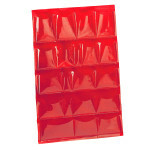 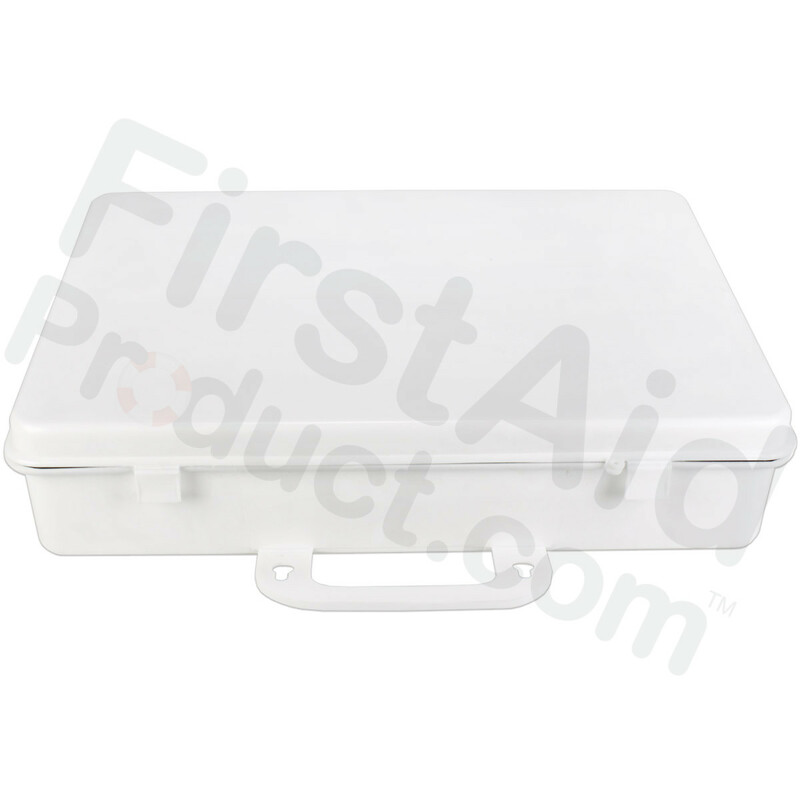 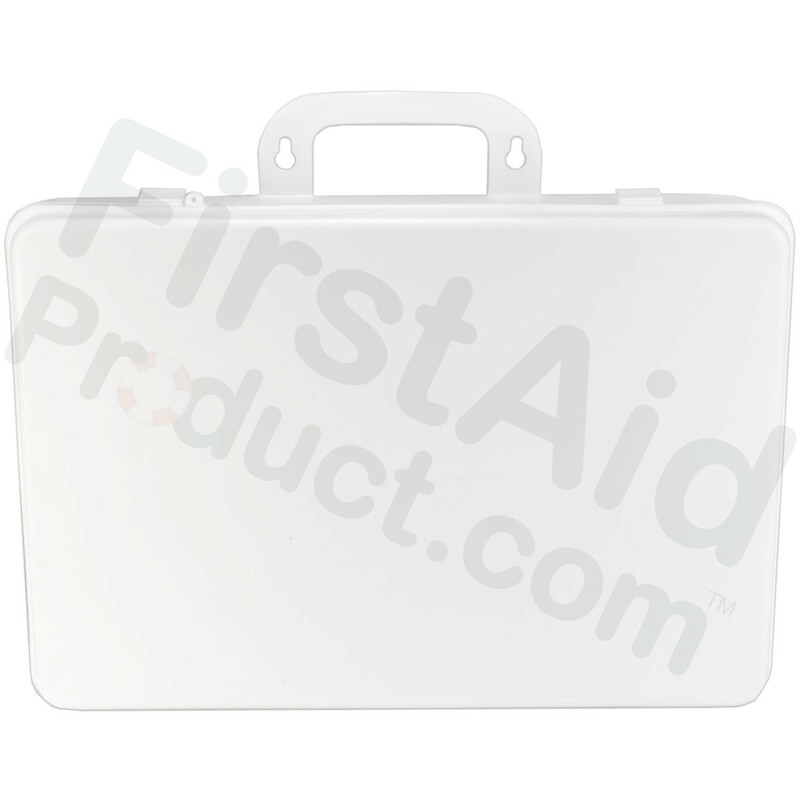 This empty plastic first aid case holds up to 36-units of product and features a gasket and polypropylene handle hanger. 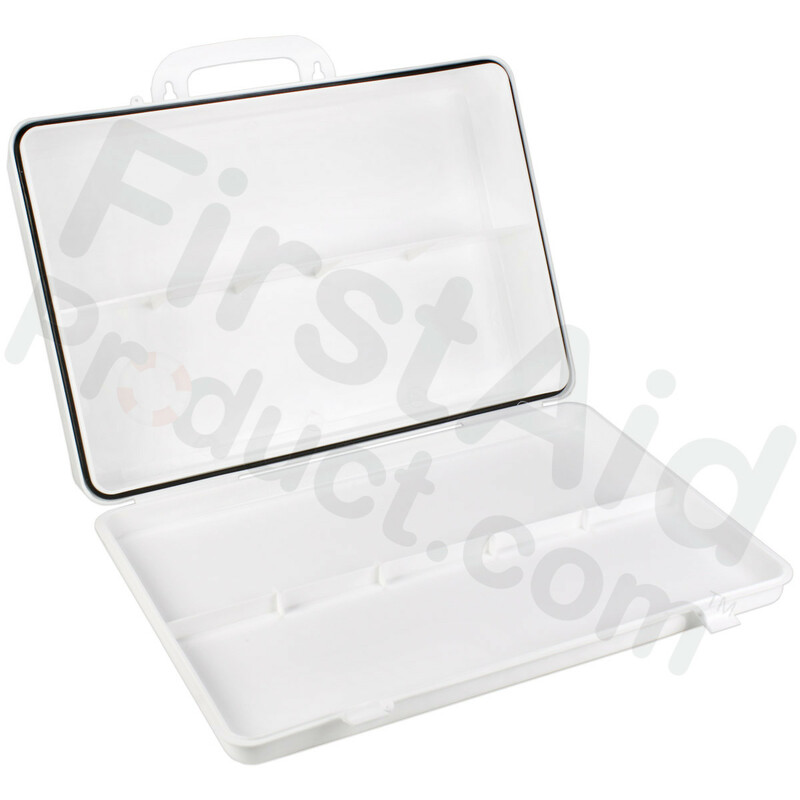 This kit case features a fixed horizontal shelf/divider. 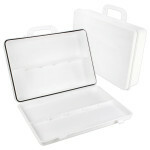 Empty Polypropylene Case, w/ Gasket - 36 Unit.